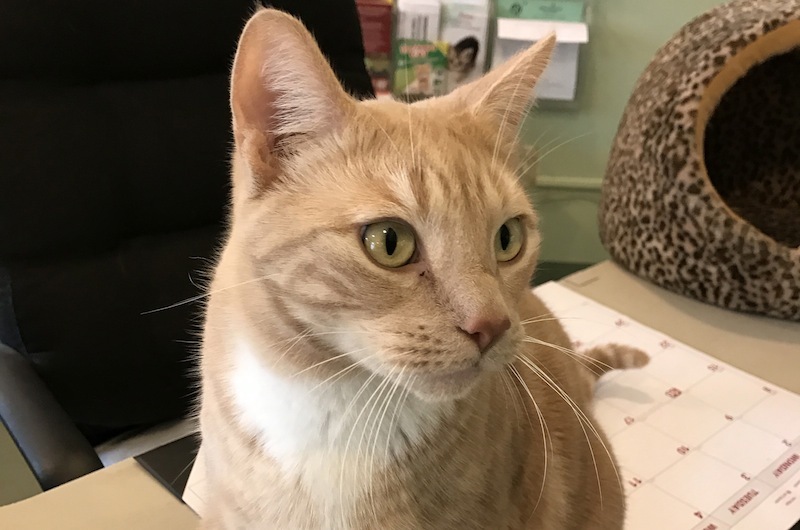 Lefty is friendly and gets along well with other cats. As of this writing Oscar, the eight-year old Caribbean potcake dog (aka coconut hound) is still available but he does have an adoption pending. He’s a small, tan dog with big ears and a very sweet temperament. Male cats Lefty and Chaps are still roaming around the shelter. Lefty is about four years old, buff and white, very handsome with gold eyes. He is playful and likes to be around other cats. 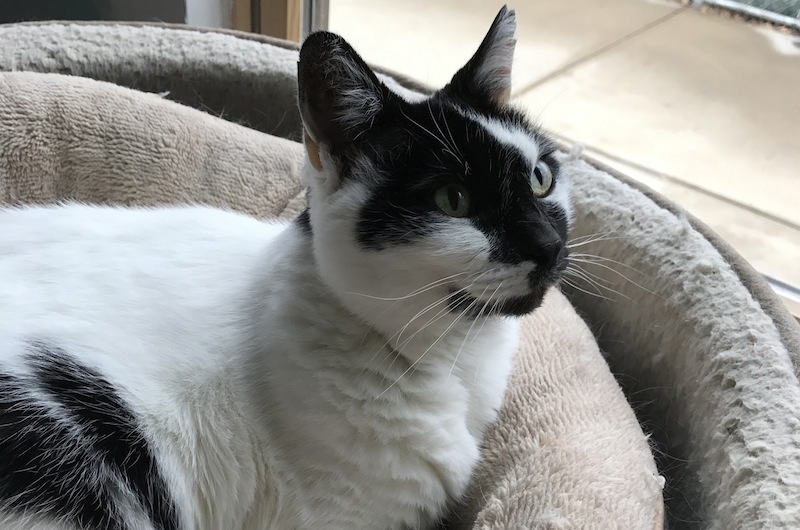 Chaps is an 11-year-old with striking white and black markings. He has a calm demeanor and would be a good addition to any home. Drop by to see if you fall for either of these wonderful gentlemen. All the available female felines are in the cat room. 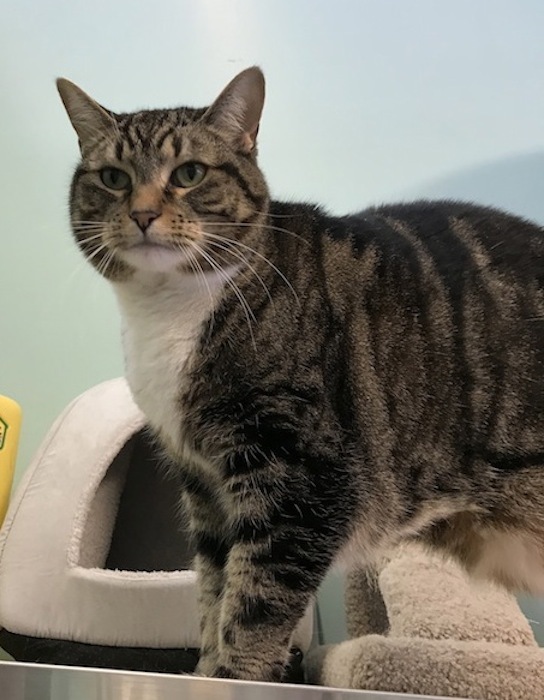 Tiger Lily is five years old, tabby and white, and just wants attention, and then some more attention. If you’re looking for a snuggler she’s your girl. Mary is a petite tuxedo cat with long legs. She is only a year old, very playful, and pretty as could be. And one-year-old Hunter is lounging in the cat condo. She is a very sweet and affectionate brown tabby who is really warming up to petting. Although she doesn’t like to be held she loves to snuggle and is a purring machine. Come meet these dolls, maybe one is the girl of your dreams.